2 year warranty, ship worldwide. USB SIRF STAR IV Chipset, 20 channel. 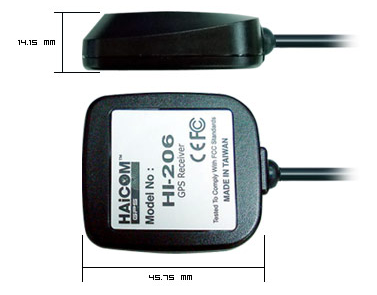 Fast Acquisition Enhanced Sensitivity 20 Channels “All-In-View” Tracking GPS Sensor Module. The receiver continuously tracks all satellites in view and provides accurate satellite positioning data. The HI-204III is optimized for applications requiring good performance, low cost, and maximum flexibility; suitable for a wide range of OEM configurations including handhelds, sensors, asset tracking, PDA-centric personal navigation system, and vehicle navigation products. It’s 20 parallel channels and 4000 search bins provide fast satellite signal acquisition and short startup time. Tracking sensitivity of -159dBm offers good navigation performance even in urban canyons having limited sky view. Satellite-based augmentation systems, such as WAAS and EGNOS, are supported to yield improved accuracy. provided on the interface connector. Supply voltage of 3.3V, or 3.8V~12V are supported. NMEA 0183 V3.1, the latest available. Works with all WINDOWS, 2000/ME/XP/Vista/7/8/Macintosh/Linux. Premium quality complete with 2 year warranty. 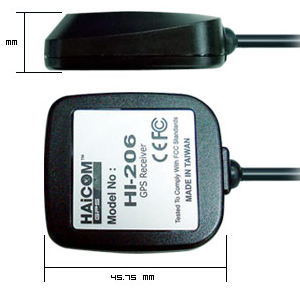 This is the ULTIMATE GPS receiver, super fast satellite fix, (TTFF) the fastest available. 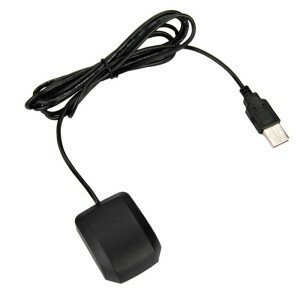 Works with any Laptop via USB port. Power Main power input 5V DC input.